LINES, VINES, AND JONAS TIMES: Jonas Brothers 3D Concert Experience: Extended DVD OUT TODAY!! 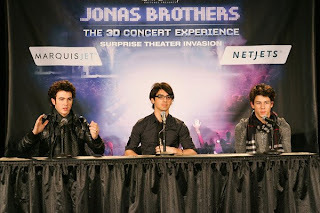 Jonas Brothers 3D Concert Experience: Extended DVD OUT TODAY!! Today is one of the days that we have all been waiting for! The DVD has released today out in stores! Now we the concert on our own screens at home and get to see all the extras on it. Now this DVD can seem pricey, but if you go onto JonasCoupon.Com, you can print out a coupon to use at the store when you purchase your copy!